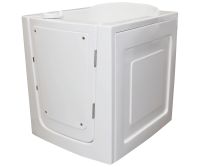 At only 28 inches wide, Model B2851 is an ideal choice for bathrooms and homes with narrow doorways. 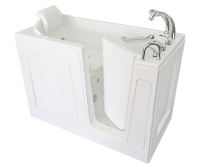 This model was specifically designed with versatility and convenience in mind, allowing the walk-in tub to be installed with minimal other remodeling. With an extended seat length and width, this tub’s interior is roomy and comfortable. 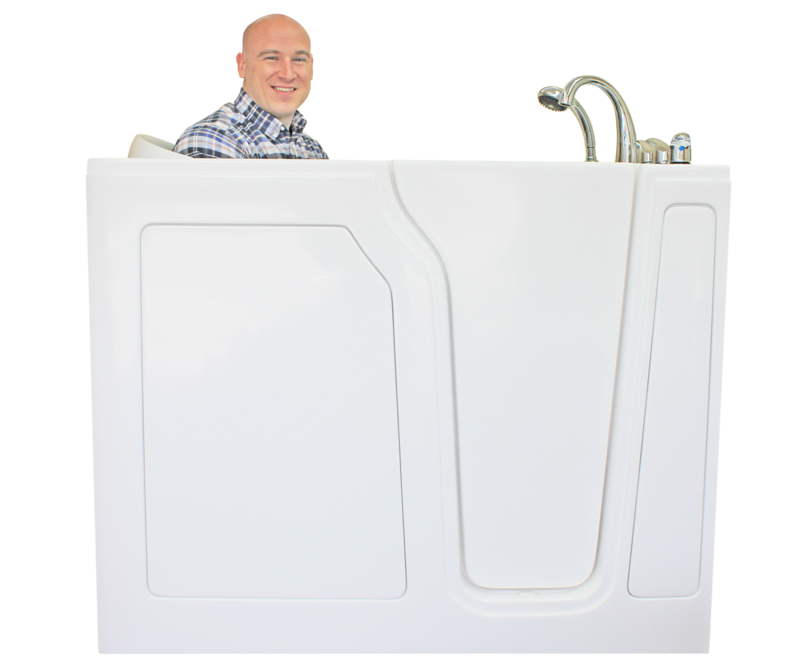 And at 51 inches long and 41 inches high, the tub’s compact dimensions still provide plenty of legroom and an immersive bath. 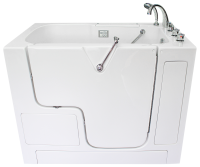 This tub model comes with a 9-inch wide extension kit that can fill a 60-inch space or be cut to tailor the fit to less than 60 inches. 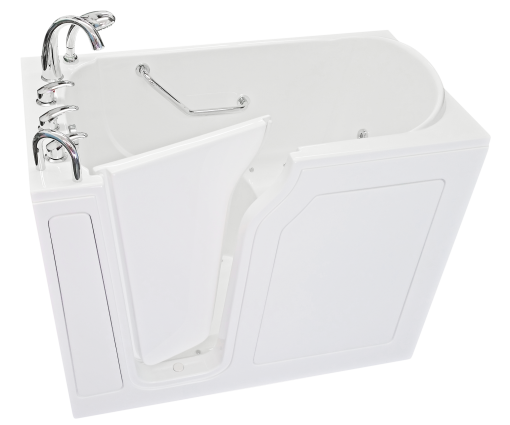 The Model B2851 can provide much more than a simple bath. 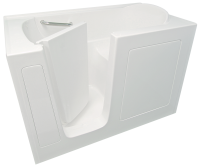 Our hydrotherapy jets and soothing therapeutic systems — both optional — provide a truly spa-quality bathing experience, melting away the physical stress and tension of a long day.